Every Fall, you see similar trends. I believe you can’t go wrong with these classic basics in your wardrobe. Great for upping the GLAM factor of your outfit. Use metallics to dress up a work outfit into a date outfit. The shiny sparkles makes any outfit more festive that’s great for Fall and the Holidays. Want to keep warm and be stylish at the same time? Add Fur. Classy in Camel. Any particular camel outerwear pulls together a winter outfit. Even in heels or sneakers, just putting on a camel coat gives that classy, pulled together look. I would wear this coat everywhere. 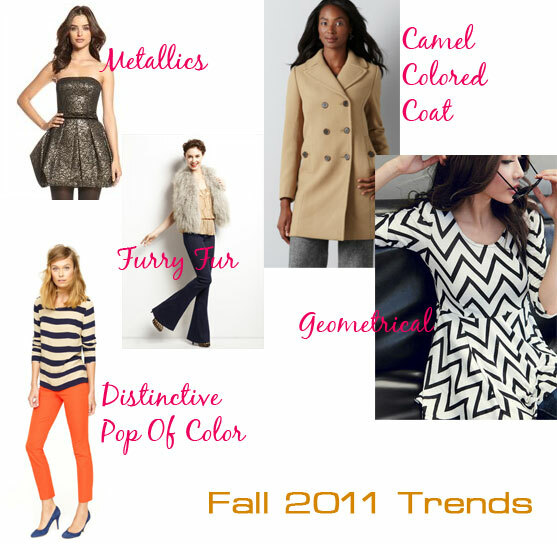 Zigzags, geometrical patterns have made their way back into style. Just by looking at these patterns gives the outfit an edge, a different feeling compared to wearing a plain shirt. I have been noticing more and more geometrical designs. Winter is not just snowy creams and browns anymore. Bring out the fluorescent oranges, yellows, electric blues and magenta. Spice up your outfit with bright pants, or that neon pink bag you have been eying. Hey you’re right! I am loving purple and any shade of purple too.